In just a few short days, Shema Koleinu will bring it’s 2nd High Holy Day experience to South Florida, and I’m as nervous today as I was a year ago, but this time, for different reasons, completely. Last year, I had no idea what to expect. Would we sell seats? Would I be able to cover my financial commitments? What would people say? Would they like our services? Would they be offended by our upbeat, unconventional nature? Would they…like me? Well, 5772 came and went in a flash! Before I had a second to even have my first doubt, I walked in to the Miramar Cultural Center, and saw that beautiful stage, and knew instantly we would be a success. Even if we had only sold a ticket or two, the fact that we made that production happen would be a success all by itself. And then Yom Kippur was over. And the minute it was over, I wanted to do it all again. My friends, my family, strangers I had never met – all showering my Dad and me with the most amazing praise. We did it, we made it happen, and best of all – we loved every single second of it. I couldn’t wait to do it again – I just didn’t realize time would fly by so quickly, and now, here I am. No – here WE ARE, because along the way, I added a few people to the organization, and we are on a roll! This year, I know exactly what to expect. We’ve sold more seats already than we did last year. The financial commitment is covered, and so far – NOBODY has been offended. In fact, word is spreading and we are on our way to changing the face of Jewish worship. So – why on earth would I be nervous? Because I have the lives of Jewish children in my hands. Because for the first time in my life, I truly feel that I might actually be able to make a difference in these children’s lives, and in the Jewish faith. That’s a huge responsibility, but for the first time ever, I know we can do this. Maybe it’s not nerves, and just raw, boundless enthusiasm and excitement, but whatever it is, my heart is beating, my brain is racing, and I cannot wait to get to that stage. This year, we expect more than 500 of South Florida’s unaffiliated Jewish and Interfaith families, and it all started with a dream. It was my dream to show them and their children that being Jewish is fun. It’s a privilege. And, it’s a priority. We will welcome 5773 together, in a new style of Jewish worship, and I will know that every person, every child, every friend is leaving my service with more than they came with. That is a privilege. That is an honor. Bring on 5773. 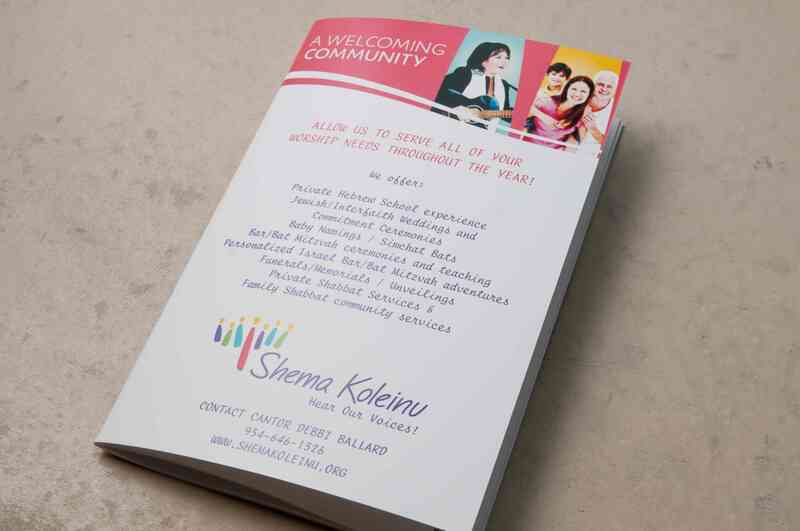 Check out Shema Koleinu in the September issue of the Miramar Town Times Community News Magazine! An article by Julie Levin highlights the upcoming High Holy Day services to be held at the Miramar Cultural Center, as well as the story behind Shema Koleinu. You can read the digital copy of the article by clicking here and flipping to page 16! The High Holy Day services are to be held September 16-17 and 25-26. The cost is $99 for adults; $72 for college students/seniors, $36 for children under 18. One ticket grants entry to all services. For ticket information, visit www.miramarcultural center.org or contact Cantor Debbi Ballard at debbi@shemakoleinu.org or 954-646-1326. A new Jewish High Holiday service is enabling spiritual and cultural connections to Judaism outside of mainstream congregations in south Florida. Shema Koleinu, “Hear Our Voices,” will bring the community together to celebrate Rosh Hashanah and Yom Kippur through prayer and song at the Miramar Cultural Center, September 16-17 and 25-26. The organization’s services provide an opportunity for Jews who are not religious to find some connection to their heritage and sense of restoration in their life. Cantor Debbi Ballard and Rabbi Steve Spiegel lead the inclusive family-friendly worship services in a way that is understandable, relevant, and fulfilling. Ballard, who has served as a cantor for several years, believes in the empowerment and discovery of Jewish roots for all— both unaffiliated, interfaith, intercultural and LGBT individuals and families. 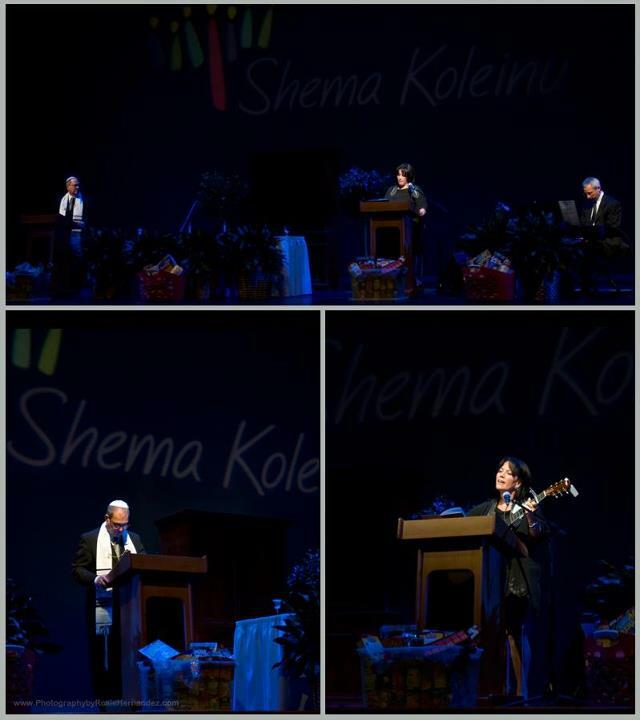 Unlike most Jewish worship services, Shema Koleinu holds their services outside of synagogues. Debbi views the High Holiday as an opportunity to reach out to those who do not feel connected to other Jews in a place of worship. The Shema Koleinu High Holiday services are just one example of Cantor Ballard’s initiative to provide quality community outreach, lifecycle events, and Jewish education for unaffiliated and interfaith families and individuals throughout southern Florida. She continues to recognize needs that traditional synagogues are not meeting, including officiating Jewish and interfaith weddings. This High Holiday, she plans to bring as many people together through prayer and song as Torah stories come to life, prayers are shared, and spirits are renewed for the year to come. 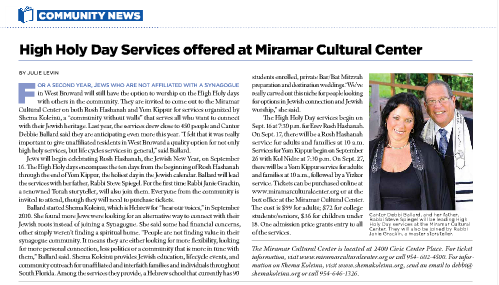 Last year, we launched our first-ever High Holy Day Services at the Miramar Cultural Center. We had no idea what to expect, but we knew we had a great foundation of an unaffiliated community and needed to serve them with a spiritual, uplifting service that they would love! Looking back, we accomplished so much last year. We hired a great pr firm to design our website, purchased a great deal of technology and equipment, hired a great accompanist, and then went about creating a service we thought would be original and inspirational. It was a huge risk, for sure. I put my life on the line for the cost of an 800 seat theater, and could have been left holding a very expensive bill if nobody had shown up! But, as with all things, when you have that feeling in your gut, and know that if you “build it, they will come” – it all follows suit. And by the time we walked off the stage last year, I was so sad it was over, and so overwhelmed with what an amazing experience it truly was! So – this year – we’re back! With plans to go from 400 to 600, we have made some minor changes in the services, hired a percussionist, and my friend Janie Grackin will be joining us as a 3rd clergy member, and storytelling extraordinaire! Our Broward County community has grown again this year! I have over 90 kids in a Hebrew School program, and this year I will have performed over 35 B-Mitzvah ceremonies for my families, along with even more weddings. My Dad, Rabbi Steve, has gotten so busy in Mexico that he’s about to take a 6 month “leave” from SK to serve the destination community in Playa del Carmen. But first, we’re planning our “best year ever”, by continuing to serve our West Broward community with a positive message for HiHos, a year of hope and inspiration, of friends and families, of joy and happiness, and of our love of being Jewish, and our faith in God. We cannot wait to see you – to shake your hand, or give you a hug, and welcome you to our services whether you are returning or attending for the first time. Please drop me a line and let me know you’re coming – I want to greet you personally!